Tar: I see a lot of green color. This means that there are many Entities of Light that are sending healing Energy here to all the incarnated beings present. My name is Tar, an old acquaintance of yours. Interlocutor: Hello, Tar, I greet you. I listen to your message. Tar: I have millions of your years giving messages, suffering for those beings that don't end up learning. I have been millions of years hoping that with each solar revolution one being more be able to rise spiritually. What I will say is something paradoxical. 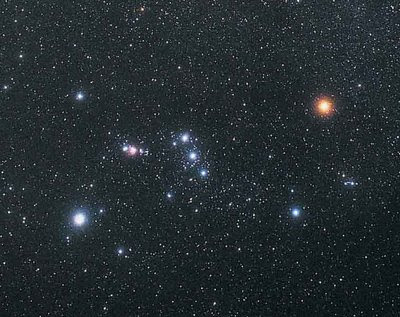 Where I come from, Orion 4, in past ages it happened the same thing that here on Earth is happening. There are spirits of error that help to the Light, and on the other hand there are Spirits that belong to the Light that help to error. Interlocutor: Do they help error consciously or unconsciously? Tar: In many cases they realize it. It doesn’t matter the names, but there were in past ages beings of error that have induced my brother Johnakan Ur-El, Thetan of this vessel, by certain attitude, to write words of Light. Those words were written thanks to Johnakan, my brother of Light, but the origin of those words were two spirits of error that don't have merit, however, they were the cause that those word of Light were written. I will not narrate the complete story because it’s not important, I will only say that those two incarnated entities wanted to know if the telepathic communication through mediumship was real or fraudulent, but they wanted to do it with very basic questions. Well that session was not held because it didn't make any sense and Johnakan dictated in the causal body of this vessel that he should write, and a word of Light of a very special beauty has come out, where it defends mainly to the message, emphasizing that it doesn't matter who is giving it. Interlocutor: I understand the idea perfectly, so what matters is the message, not the messenger. And the paradox is that those words of Light words were impelled by spirits of error. Am I right? Interlocutor: This is perfectly clear and I am convinced that those two people had bad intentions and they wanted to obstruct the Path instead of discovering the truth honestly. Tar: As I said before, there are also Spirits, that are in the Path of Light that being incarnated, they give mistaken messages and they hinder the Mission. That is to say, on one hand, spirits of error allowed that words of Light be revealed, and on the other hand Spirits of Light hindered the Spiritual Path giving mistaken messages in abundance as you say in your planet. Messages that say that in these moments there are avatars incarnated, alleged Masters of the antiquity that are embodied and that it is necessary to pay attention to them, messages of alleged Masters that perform transubstantiation making appear and disappear objects, messages where they say that there are 50 different planes of Light, messages that say that God is incarnated. Interlocutor: God, the Absolute, incarnated? Tar: Yes, and they say that it is incarnated as a spirit, which is something completely impossible, messages which say that Yahweh is God, and things like that. All those mistaken messages have been spread through books in your planet, at Metaphysics level, and they are putting back the Spiritual Path enormously. Interlocutor: Will those spirits that spread mistaken messages lower of plane? Tar: Not necessarily, because sometimes they don't do it on purpose. They simply have a responsibility. As well as nobody is punished, because you know that in the Spiritual plane there is no punishment, one ascends or descends of plane according to the attitude. Returning to the words of the beginning, if Spirits of Light, believing that they are doing things correctly they give mistaken messages, surely they won't lower of plane because the intention is good, what is bad is the information. Then, many people that will read this message will ask me: and how do we know that your message is authentic? Let’s not talk anymore about authenticity, let’s speak that the things truly harmonize, they make sense. We are not speaking about an “eternal punishment" or “eternal reward” for life. Even the highest Spirit, if it embodies, it can lower of plane because the incarnated part doesn’t have reincarnative memory and that person can make numerous mistakes and drag down his or her 90%. There were spirits of Light that were successful. The Master Jesus in the Planet Earth, the Master Kether, the Ancient of days in Ani, where he stopped a religious schism, and he was already Planetary Logos! That is to say, in his planet he was more than Jesus here. Interlocutor: Sure, because Jesus became Solar Logos afterwards. Tar: Correct. Kether asked to embody in order to stop the religious schism that was going to divide his planet in two unyielding factions and he achieved his purpose unite them. But not everybody does that. There are beings that embody in mission, but later their ego cast them down so much and they accumulate wealth or directly they are devoted to bad habits or indifference, or they scorn others and they pass unnoticed and don't accomplish their mission. Then, these beings can lower of plane although they don't make any mistake because one can also lower of plane due to ineffectiveness. Do you understand what I mean? Tar: This should be well underlined: One can lower of plane due to ineffectiveness. Keep it in mind those who read this message. Interlocutor: Sometimes we have the impression, due to the tremendous skepticism that surrounds us that we have not advanced and that we should have embodied in mission in five hundred or a thousand years later. Tar: Johnakan said many sessions ago regarding to atomic fusion that God gives Free Will, but it doesn't prevent having a program according to how mankind evolves in each planet. Atomic fusion should have to be developed in the XXII century of your era; however it was achieved in 1938. Why? Because God gives Free Will and so this happened. And with regard to your question, the communication should have been in this way and you have embodied in this century to be in mission. An Angelic Entity said:"Everything is for something," and surely later on they will confirm that it was positive that you embodied in mission in this time and not afterwards. Tar: Let’s go now to the questions you have scheduled. Interlocutor: Will you respond all of them? Tar: As my brother Ron always says, “nobody is wise in all the matters” If I know the answer, I will give it, otherwise I will derive the question to other Entity who knows the answer. Interlocutor: My question is related to an alleged extraterrestrial civilization known as “Erks”. I understood that this civilization is in our country, Argentina, and it is developing a very important task for mankind. I’d like you to give us a confirmation. Tar: There are very few civilizations; there are very few beings from outside of this planet living on Earth. At this time, the hidden civilizations are very few and they are living in unstable housings with antigravity and anti-pressure, in places where they counteract the high temperatures, but they have not brought an advance technology capable to have big civilizations today. Most of the civilizations are figments of the imagination of authors. Interlocutor: Does the so-called civilization Erks exist? I mention it because there is an extraterrestrial civilization that apparently exists in Friendship Island. Tar: I repeat that they are extraterrestrials that have come to Earth, but they are not a great civilization and they have not brought a great technology either. Interlocutor: Do they have some important mission? Tar: No, they are not doing anything else than small things in unstable laboratories. Today, there may be no more than seven civilizations on the planet. Tar: They don’t exist. It is only a figment of the imagination of the authors. There are some small, but very small civilizations that are practically bases, as much in this country, called Argentina, as in another country called Peru, and other countries more to the North, U.S., and four other countries to the East, where I repeat there are small bases, but they are not big civilizations. Besides, I want to state plainly, and this was said before. The Earth is not a hollow planet, as some authors believe, most of the planets of this solar system or others are not hollow. Interlocutor: Yes, we already had that idea clear since you told us before in one of the last sessions. Tar: Sure, but I am referring to those authors that sustain that the Earth is a hollow planet, and there is a central sun that illuminates a subterranean civilization. It is only feverish imagination. Interlocutor: What is there inside the Earth? Tar: Inside the Earth there is iron, nickel. Beyond fifteen or twenty kilometers deep no extraterrestrial base can exist. The great pressures are even counteracted by them with different anti-gravitational artifacts that also counteract great temperatures. But they cannot do that beyond these distances. Interlocutor: And what do those extraterrestrial establishments make at such great depths? Tar: These establishments only extract metals and they make tests with them and similar things. Interlocutor: Do they also help the human beings or they only come for these tests? Tar: They help in very few occasions, because they are simply in charge of making experiments with the terrestrial gravity, with the magnetic fields, because not all the planets have a magnetic field so developed like Earth has. I am speaking about rocky planets. Interlocutor: moving on to another question. Are there aliens collaborating voluntarily with the United States, I mean without the use of the force or the torture. I ask it because we know that there are extraterrestrials prisoners in the United States, crew members of crashed space ships that are giving technological information by means of tortures or threats. Tar: In these moments There might be four races collaborating with the United States. Interlocutor: And what can we give those aliens obviously more advanced than us that they may be interested to exchange? Tar: To most of them they give an element that here on Earth is abundant, I don't say it’s in excess, because in all the planets there is an ecological balance. I refer to water. Interlocutor: Water? I never thought that some planet could need it. Tar: There are many rocky planets that, contrary to Earth don't have water in liquid state. Interlocutor: But cannot they extract it from the atmosphere? Tar: Yes, of course, there are even ice asteroids where they can extract it, but not all the stellar systems have watery asteroids. Interlocutor: Is the United States the only country that has contacts with extraterrestrials voluntarily? What about Russia, China or Japan? Tar: Only the United States. Interlocutor: But in Russia ships have landed! Tar: Correct, and that was already said in another session. In this country a space ship landed in what you would call a trip or picnic and they left some samples. Interlocutor: Yes, I remember the case. Ron told us about it. Tar: The Russian scientists found those samples and they analyzed them. One of the samples was a kind of flask that apparently had nothing inside, an emptiness in the center, a hole where there was not a molecule of air at least, but when they manipulated it, ignoring its function, it pulverized the arm of a scientist that had it in his hand. It was as if a laser ray’s device were manipulated by a Mongolian of 1200 years ago. Interlocutor: This is clear, Tar. What about computer Science, are the "chips” extraterrestrial technology? Tar: Don't take the credit away from terrestrial scientists. Interlocutor: The question is answered. Tar: Terrestrial scientists, as regards to Computer Science are advancing at such important speed that they can surpass technologically many extraterrestrial races that at the moment are in the vanguard of computer Science. Interlocutor: Obviously if we don't destroy ourselves first. Interlocutor: In some part I think I read that Bill Gates would be the Antichrist. Probably, it’s an entire nonsense. Tar: In the spiritual world there is no "Antichrist" because The Christ is not a spirit, it is a Divine Energy the same as Buddha and negative Energies don't exist. There are Divine Energies. The negativity is in the spirits of error and in the so-called "Demons" that are angels that have come in mission and whose memories have been erased to avoid the suffering that implies to tempt man in order that mankind evolves. Interlocutor: But they have always spoken about the Antichrist! Tar: This character is nothing more than the figment of the imagination of some authors. Even in your world there are movies where Angelic Entities fight with Demonic entities. Simply think about the fact that Demons are in such dense, but so dense plane that they would never touch an Entity that is in the 6 vibrational plane. Tar: If you, in the physical plane 1cannot even glimpse, unless with the corner of the eye, to entities of the planes of error or Light; a Demon could never visualize Angelic Entities and even less quarrel with them. Interlocutor: I asked you about the Antichrist because Nostradamus talked about him also. Tar: There are things that were out of phase and that were distorted. Regrettably this is one of the things that set back the Path of Light, because the negative information is even more harmful than the lack of information because if I don’t inform a creature, the creature will be ignorant, but not good or bad. On the contrary, if I inform negative things, I will create a mistaken being, I will educate a mistaken person and I will make him astray. Interlocutor: But did Nostradamus give false information or his information was distorted and they attribute him something that he never said? Tar: What he said was distorted. It is an independent topic that we’ll leave it for another moment. Interlocutor: Okay... Many people talk about an extraterrestrial universal rescue, in the case that humanity reaches a total chaos. The question is: if it were foreseen, Will it be at physical level or at a conscience level. Tar: Discard that completely. It is a selfish thought. It is nothing more than ego, because when in the TV programs, radio or the press they talk about a rescue, it’s only a thought about the Earth, and what about the other planets? In all the planets of the universe there are spirits of error, there is ego, there are setbacks and there are cycles. How come a rescue? A rescue would be interference and interference is against Free Will. There is no rescue, neither at a physical level nor at a conscience level. Such thing doesn’t exist. Once they said, and I know this because I read the mind of my vessel that the Earth was entering in a conjunction with the Pleiades and that from the Pleiades would come an alleged rescue. First, and this was said already, and it was in one of my first messages, the Sun, your Sun, is practically a new star. It has 5000 million years compared to 15.000 or 20.000 million years of the universe. The Pleiades don't reach 600 million years, there are not even planets in that place and there is no civilization over there. Regrettably, many of these beings that are in the Path of Light instead of helping, they obstruct. They would help better if they studied a little bit of astronomy. Do you understand what I mean? Tar: There are many famous astrologers that spread so many mistaken messages, and regrettably those messages are those that put back the Path of Light. Yes, there will be changes of conscience, but regrettably this change will be slower than we as Entities expected many years ago. Now, in your world, in few days the change of millennium will come, and many people thought that it had happened one year ago. There will be many changes, there will be earthquakes, there will be a volcano that will dirt the atmosphere. This issue related to volcanoes can bring a lot of risk, a lot of danger. It will be many ethnic wars. But the positive, the beautiful thing is the change of conscience that will take place. That an extraterrestrial race come and rescue means interference. It is unthinkable that other races that respect the Free Will of the inhabitants of each planet allow that. Interlocutor: Isn’t there some intergalactic Confederation? Tar: There is a Galactic Confederation, not intergalactic, there is a conglomerate of peaceful worlds that observe other worlds and they don't allow that other worlds be destroyed. Tar: Free Will is a spiritual gift of God, but they are incarnated beings that evaluate things, and if they see that a race can be saved, then they intervene. Interlocutor: Was there interference in Chernobyl, where the toxic cloud that was generated disappeared inexplicably? Tar: Yes, there was extraterrestrial interference in which ships were absorbing that enormous cloud to avoid that it causes bigger problems. Regrettably there are thousands and thousands of worlds and they cannot be helping all of them. It is important that all of you know that the creatures that have been born in that region are beings that are totally misshapen, some of them have been born without feet, others without arms, or with some strange appendixes like fins replacing the legs. The suffering of these beings reaches us in the planes of Light. We don't suffer for ourselves, but for the others. It is important to establish this difference. Interlocutor: Something like suffering for empathy? Interlocutor: I want to ask you a question that I had for a long time. Is the Sun inhabited by some type of beings? I am referring to the physical sun. Tar: The Divine Energies can be in the physical Sun, but it doesn't have any function. They can enter to be there, the vessel is decoding the idea. As well as you can frolic in a sunny day in summer, if you understand what I mean with this word, in the same way the Divine Energies can frolic in the nucleus of a star, not because they "feel" since they are in another plane, but it is like they can “feel” some bubbling of radio transmission, because there is a transmission of this type. The Divine Energies are the same as Spirits of Light, they don’t have eyes or ears like the incarnated beings have, but they "feel" that static and they enjoy with it. It can bothersome, but they know how to attenuate it. It would be the same thing like music, if you listen to it loudly, is bothersome and listening softly it gives you pleasure. Interlocutor: The question is clear enough. Another question that I want to ask you is: Shouldn’t exist some kind of spiritual or physical force that helps us to evolve directly? Since the "demons" and the spirits error help us to evolve indirectly, that is to say by testing us. Tar: That force you are referring to exists, and we are that force, Spirits of Light that give messages to counteract "demons" and spirits of error. Maybe all of you will ask; Why the message is unsuccessful in most of the cases? Regrettably the answer is: because the reactive mind or the prominence of ego that each embodied being has is strong so that they pay attention to the messages of error instead of the message of Light. Then, it would not be fair that an external physical force Intervenes, because if the problem is spiritual it has to be solved in a spiritual way. Otherwise you would be advancing in a "comfortable way" saying it in a terrestrial language. It would be like the one who pays the teacher so that he approves him by saying: "take my hand" or "push the trolley for me." Obviously that is not the way out. If I present myself in a physical form to a Spirit who is seeking the Light, well, I can do it directly and rescue him and put him in a world which is an oasis of peace, but that spirit would not learn anything! Since I directly took him out of a place of conflict and I put him in a peaceful place, obviously the spirit would continue being a spirit that has not come to the Light yet. I cannot take a person to a higher level if that person is still in primary school. Is the answer clear? Tar: I will leave to give place to another Entity that wants to communicate. Interlocutor: Before you leave, I would like to know what spirits of Light are present. Tar: The Master Jesus, the Master Johnakan Ur-El, Higher self of this vessel, the Master Ron Hubbard, the sublime Spirit Kwan Yin, the Master Socrates, the Master Jiddu Krishnamurti, the Master Sidisius, great philosopher of my world Orion 4. Someday, I hope to transcribe some of his words for you. Your thetan is also present and the thetans of all the assistants here are gathered as well. My Light for all you. This entry was posted at Wednesday, December 16, 2009 and is filed under Messages of Light . You can follow any responses to this entry through the .